"Best service, prompt ,courteous, super strong and goes the extra mile. Very reasonable prices, clean and efficient. You won't be disappointed." 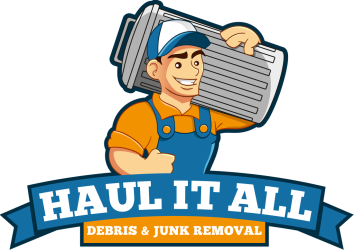 "I called Haul it all and Lance was awesome, he call immediately and was available to come in the following next day in the morning, he was extremely kind enough to take some extra cement bags I had along with the junk... He was very professional and efficient... he came and did his job... quickly and efficiently, I would recommend him and use his service in the future..."
"Excellent service. Prompt , professional and reliable. Lance was great! Highly recommend !" "Lance was very friendly, professional and worked very quickly. It also cost less that any other quote I got. I would recommend Haul It All to any of my friends." "Very impressed with his integrity. Highly recommend and will use him again." "The service was fantastic and the price was reasonable. I called last minute and he was able to work the job an hour later. Very professional and personable. I highly recommend them." "From a trash heap to spotless in under 24 hours! Made the payment easy by accepting credit cards through square. Will definitely use again when we move later this year." "It was a very professional service. I am impressed that he is so responsible and kept in touch and made sure my stuff was hauled on time. Will recommend this company for all your hauling needs. Thank you Haul it all." "Amazing service! Very efficient, meticulous and trustworthy. Fair and reasonable pricing!" "He showed up right on time and made quick work of our pile of junk. The price was very fair. We have recommended him to several of our neighbors." "Thank you for your great service done efficiently, promptly ;-) i am glad I called you and not another company." "He was so reasonable priced... actually inexpensive! I also loved that he's local with a family. He infused the desire to maintain his integrity and reputation in that short visit to represent his family well. I was really impressed. I'm sure we're all looking for reasonable prices that we're not walking away saying to ourselves, "yea...it was pricey but I had to get it done", but if it's also important to you like the person who's coming to your home and you trust him to do what he said he's going to do without excuses...then Lance and Haul It All is your guy. Old fashioned integrity seems to be a thing of the past when you hire someone these days, but after Lance finished and shook my hand thanking me for using his service, I was convinced that the "old days" aren't old anymore." Copyright 2015-2016 Haul it All Bay Area Junk Removal service.